Gidday folks, thanks for stopping by again today. I'm on this mission to use up my stash. I mention it every other week. But as crafters we tend to gather stuff. And our supply stash gets bigger and bigger. We buy it, we're given it, we find it/ re-use it/ re-purpose it. And it accumulates. And then it starts to get old and we don't love it as much anymore, but the only thing wrong with it is our opinion of it. I'm sick of what I've got, but I don't want to add to it with new product, I want to use it all up and then get new product. Ok so that might be a lofty goal, and isn't likely to happen - but my stash will get much smaller, and is getting much smaller, it just won't get down to nothing - and I'm ok with that. So I have another scrap your stash layout today. 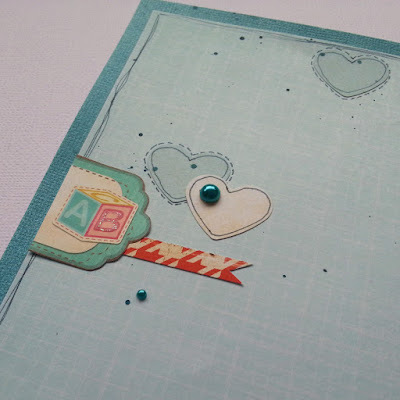 For this one I used a pale patterned paper as a base which is outside my comfort zone - I used to do it, but now I typically use white cardstock. 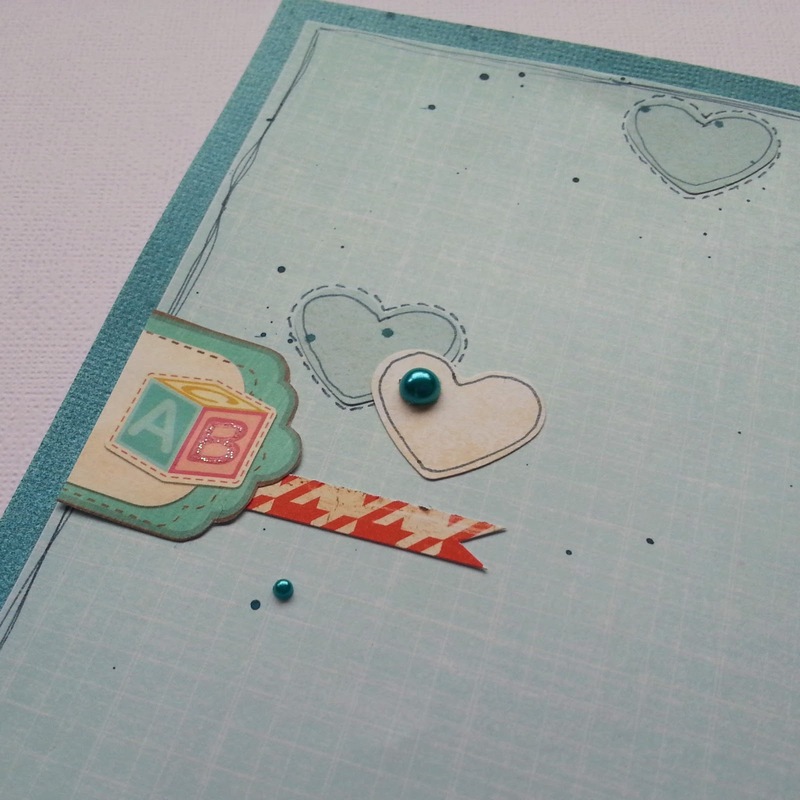 Other people still used patterned paper, not just pale colours, and they look great so I thought why not? I love to change it up. Not everything looks amazing, but it's still memory keeping so it doesn't bother me. If every page looked the same your album would be pretty boring, so I'm ok with having some favourites and some that aren't favourites. Oh and I did something else a bit different, I repeated circles over my layout. The small ones are 1 inch punched and the larger ones are traced from the inside of a roll of double sided tape or something - hand cut anyway. 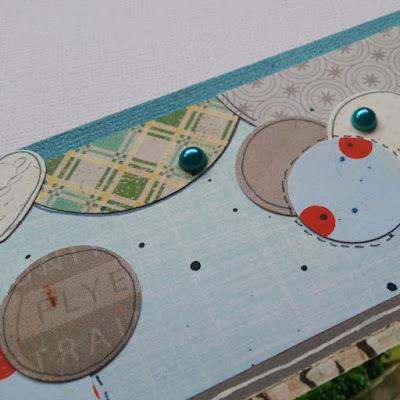 The photo is layered on multiple pieces of patterned paper, and some journaling cards I wasn't going to use and then adhered to the page on foam tape. 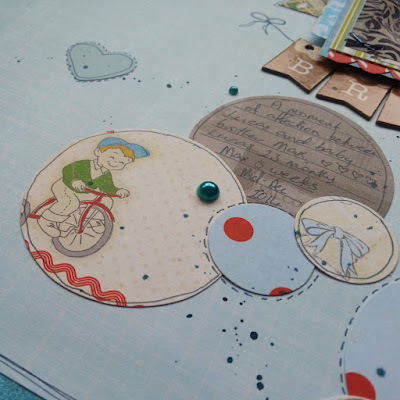 I used a pen to draw a messy border around the page, and around the circles and hearts - some on the shape and some around the edge. I splattered some mist, I added some pearls. All little circles. And I did a little cluster on the side too. I felt the page just needed a little more balancing. Remember to have fun doing it, and that it is getting the memories recorded that is the most important.